Spring Reverb is now a modular in Softube Modular! 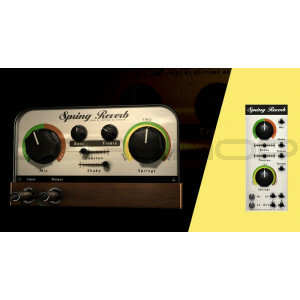 A much-loved guitar effect, spring reverbs are also a classic ingredient of modular synthesis. 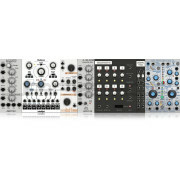 Legendary systems like the EMS VCS3, Buchla Easel, and ARP 2600 all had built-in spring reverbs, and now Softube’s Modular - the software Eurorack synth for everyone - features Spring Reverb as a module. Springs: Control the number of springs in use. There are three sets of springs in the reverb unit and you can choose how many of the sets you would like to use. Set the control to ONE for a more pronounced springy sound and to THREE for a smoother sound. Shake: Since we don't want you to smack your computer to get that thunderous springs-being-shaken sound, Spring Reverb features a slider that can be used to accomplish the same thing safely. Tension: Tunes up or down the tension of all three springs. Adjusting the Tension parameter will change the sound of the strings from slow and smooth (left) to quick and harsh (right). Together with the Springs knob, this control is an excellent tool to change the overall character of the reverb. Bass, Treble and the input stage: Authentic tube simulation using the same technology as the Amp Room products on the wet signal.